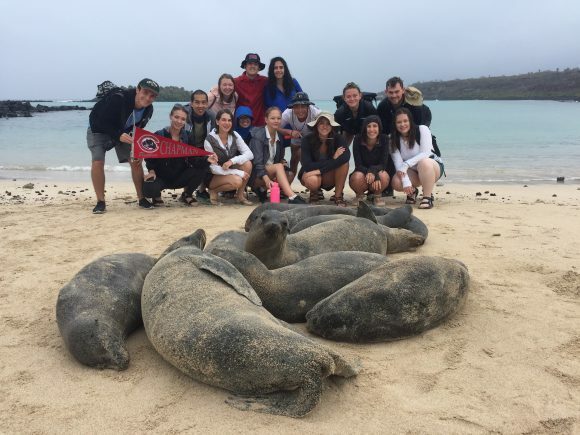 Over the past two weeks, Dr. Shana Welles and I were fortunate enough to accompany 14 Chapman students on an expedition to the Galápagos Islands, where we explored the amazing biodiversity, ecology, and evolution found in this volcanic archipelago. 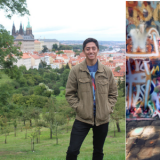 The students were enrolled in an Interterm environmental science course taught by Dr. Fred Caporaso and represented a breadth of majors across the university – there were some science majors, but also students studying film, communications, Spanish, finance, and more. 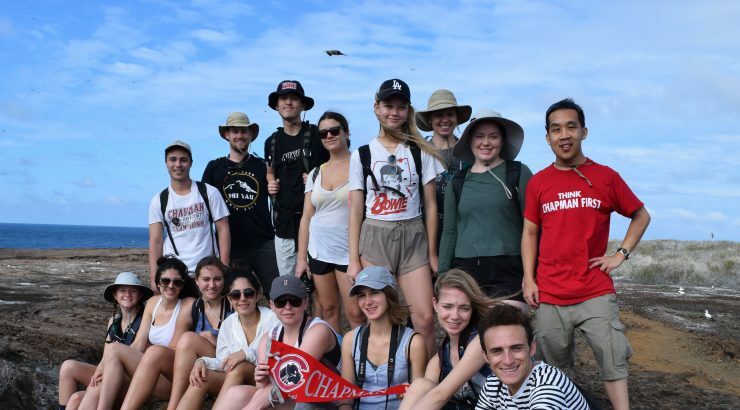 While their majors differed, the students were united by their interest and excitement in learning more about these islands and their role in shaping Charles Darwin’s idea of natural selection as a mechanism for evolution. I first met the students on campus prior to departure when I dropped in to Dr. Caporaso’s class. It would be the first time for each of us to the Galápagos, and I could sense the students’ anticipation. I, too, was eager – as an evolutionary biologist, I have always felt the allure of the islands, which Darwin visited during his voyage on the HMS Beagle in 1835. 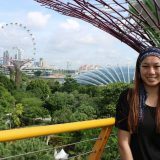 Darwin had been inspired by the diversity of flora and fauna on the island, and all of us were hoping to be similarly inspired. That dream would become a reality in the Galápagos. On one of our first days there, we were waiting at the harbor for our boat when Martin, our naturalist who accompanied us the entire trip, exclaimed excitedly to us – right next to the dock was a Galápagos shark devouring a dead sea lion. The inspirations continued daily, and it was stunning how many clear examples there were of evolutionary and ecological principles. Students remarked at the differences in the finches’ beaks (the classic example of adaptation), marveled at how two species of boobies occupied different niches in the same habitat, and wondered at the distinctive red pouches of the frigatebirds, an exquisite illustration of sexual selection. Beyond these, the students and I also admired the sheer natural beauty of the animals and plants and the tapestry of interactions they were weaving. One moment we would be watching land iguanas chase a part of a prickly pear cactus that had just fallen, and the next moment we would be snorkeling with sea lions, sea turtles, hammerhead sharks, and (one of my favorites) the graceful and spectacularly large Pacific white-spotted eagle rays. Each student kept a field journal, and the hikes, snorkels, and boat rides we took provided seemingly endless observations and illustrations of ecological phenomenon, allowing the students to draw connections and better comprehend the complexities of the ecosystem. This experiential learning carried over even when we were not actively exploring the islands. Martin gave several lectures on the ecology and evolution of the Galápagos, and Dr. Welles and I had numerous conversations with the students about evolution, ecology, and genetics. 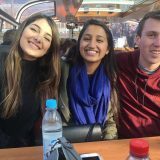 The students were curious, and over meals we discussed topics such as genetic engineering and even the neutral theory of evolution, a topic which I normally only discuss in my upper-level evolution class! 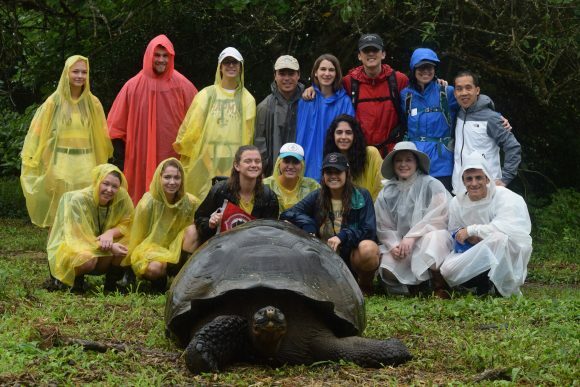 It was immensely gratifying to see the students embrace the course and their adventures and to see science students and non-majors alike connect so well with the natural world. 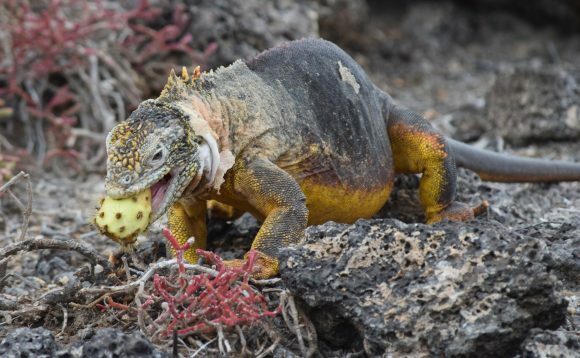 It was with sadness that we left the Galápagos at the end of our trip, though many of us vowed to be back: the islands provide perhaps an even stronger attraction to each of us now that we have experienced a taste of its wonders and beauties. 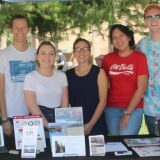 No matter when we return, though, I know that the lessons and memories of this course will last forever, and I am grateful for the opportunity that Chapman was able to provide for everyone through this course and journey. 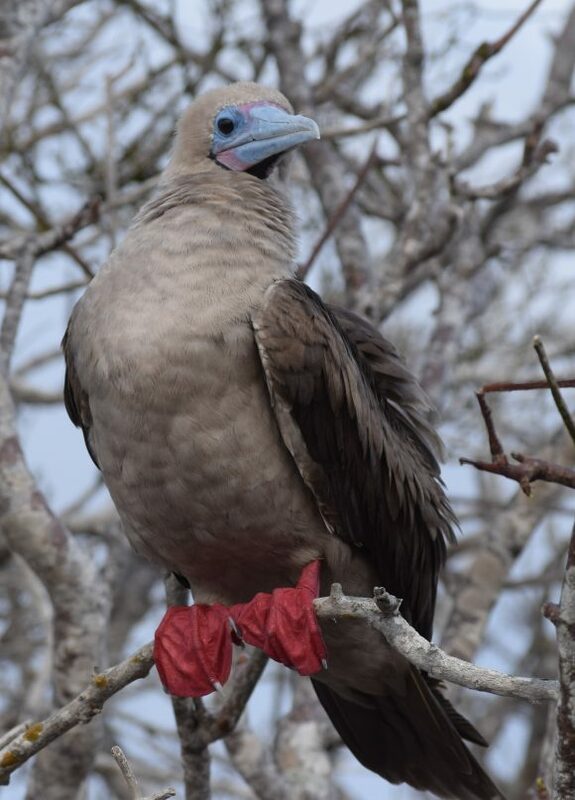 I have never connected more to what Darwin wrote at the conclusion of his Origin of Species, when he spoke of “endless forms most beautiful and most wonderful.” He very well could have been describing the Galápagos.